Appleton, WI Dentist offering Evening Hours! Provider to Delta Dental, Humana Dental, WEA and most Dental Insurances Accepted. Have a TOOTHACHE or DENTAL EMERGENCY? No worry we are accepting New Patients! At The Dental Center, Dr. Menos and his staff value our patient relationships, making it our priority to deliver gentle compassionate care that you deserve from a dentist in Appleton. We work hard to make you feel at ease by providing exceptional patient care in a relaxed, convenient atmosphere with evening hours available. We strive to develop lifelong relationships with our patients by combining the latest dental technology with a professional and compassionate staff. The result is a beautiful, healthy smile that lasts a lifetime. 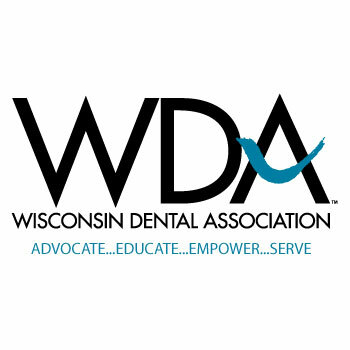 We also believe that patients should have sufficient information to make educated decisions about their oral health, treatment options and choice of dentist in Appleton that will take the time to listen and answer questions. You'll find all of this important information on our website, including directions to our office, service descriptions, patient forms, patient education resources and more. New patients are always welcome. Whether you are new to the Appleton area or haven't been to a dentist recently we look forward to meeting you. Should you ever need additional information about our practice, we are always available to answer your questions. Let us care for your entire family! 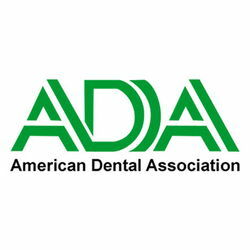 The American Dental Association (ADA) recommends that patients visit their family dentist at least once every six months to ensure proper oral health and functionality. Dr. Menos completed his undergraduate education at the University of Wisconsin-Milwaukee in 1978. He graduated from Marquette School of Dentistry in 1982. He is an active member of both the American Dental Association and Wisconsin Dental Association and he has served in leadership positions for his local dental society. "Another great experience. I am not one who enjoys going to dental appointments but Dr. Menos and his staff make the experience as pleasant as can be. They take their time to explain and discuss each treatment. They are very thorough with the tooth cleanings and scheduled check ups." "People here are always very courteous are in a great mood and can answer my questions quickly. I really like the text message reminders and emails they send out." "The staff and Dr. Menos make feel comfortable which is why I continue to return for my dental care. I used to be afraid of going to the dentist, but I'm not any more thanks to the Dental Center." "Dr. Menos is the most caring and gentle Dentist I have ever had. He makes time whenever you need him no matter how busy he is. The entire staff also compliments Dr's professionalism and gentle care. I have gone to The Dental Center for over 20 years and all my family and friends go there to. They bill all major Dental plans as well. Thank you Dr. Menos for my beautiful smile, your teeth make your first and last impression!!" "The special circumstances needed for my husband's dental work are dealt with by the staff cheerfully and competently. I really appreciate your skill and excellent work." "I felt comfortable and relaxed at my appointment thanks to Dr Menos and his friendly staff. The exam room even had a TV that allowed Dr Menos to bring up my x-ray so I could see it clearly, while he explained it to me. The TV was also nice because I was able to watch an episode of House Hunters (one of my favorite shows) during the rest of the appointment. I will definitely be coming back!"